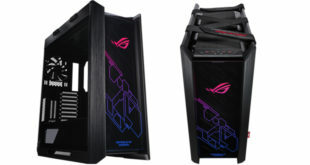 ASUS has unveiled a host of new products, including NVIDIA G-Sync compatible gaming monitors, new servers, and a Republic of Gamers Strix Scope keyboard (pictured above). 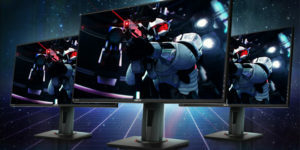 These three certified NVIDIA G-Sync-compatible gaming monitors promise “an excellent variable refresh rate (VRR) experience” on NVIDIA GeForce GTX 10-Series, GeForce GTX 16-Series and GeForce RTX 20-Series graphics cards. Designed for intense, fast-paced games, the monitors feature FHD resolution coupled with an ultrafast 0.5ms response time and 165Hz refresh rate to provide super-smooth gameplay. They also feature ASUS Extreme Low Motion Blur (ELMB) technology to make objects in motion look even sharper, so gameplay is more fluid and responsive. 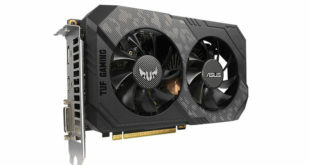 ASUS VG248QG, VG258QR and VG278QR all support gamer-centric features, such as ASUS GamePlus to enhance the in-game experience and GameVisual to provide various pre-set display modes that optimise visuals for different types of games. ASUS VG278QR and VG258QR are available now, and VG248QG will be available at the beginning of April. 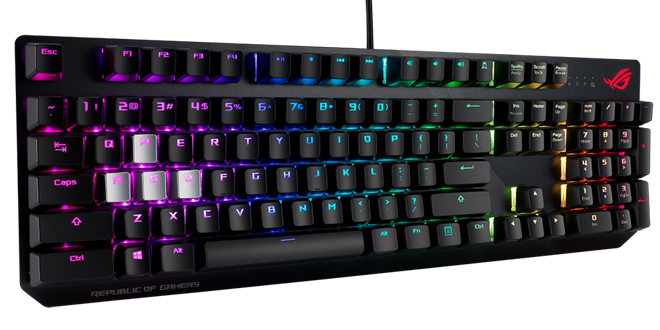 ASUS Republic of Gamers (ROG) has announced the Strix Scope mechanical gaming keyboard with Xccurate Design – an extra-wide Ctrl key for enhanced precision on FPS battlefields. The Control (Ctrl) key is crucial to success in modern first-person-shooter games. With this in mind the ROG R&D team carefully examined the play style of FPS gamers, applying their findings to create a Ctrl key that’s more than 2X wider than traditional Ctrl keys as well as a shortened left Windows key that’s designed to be less of a target. For gamers wanting to switch things up a bit, the all-black look of Strix Scope can be punctuated by four silver-coloured caps for the vital WASD key group. Included with Strix Scope, these alternative caps create a striking contrast to the rest of the keys – a standout look that benefits both form and function. A special keycap-puller tool is also bundled for easy removal and customisation of the most-used keys. Strix Scope’s F12 key has its own unique secondary function, doubling as Stealth. This is a one-touch shortcut that hides all running apps and mute all audio for instant privacy or peace. ASUS has also announced support for the new 2nd Generation Intel Xeon Scalable processors across all server product lineups. The latest Intel platform delivers a 1.33X average performance improvement in power consumption and clock speed over previous-generation processors with popular applications and benchmarks. As a select Intel partner, ASUS offers breakthrough performance with the latest Intel Optane DC persistent memory with an over 88% gain in input/output operations per second (IOPS) compared with the same configuration in SSD. This new processor platform also introduces Intel Deep Learning Boost technology for enhanced deep learning capabilities. With this new technology, ASUS servers achieved a 3.1X performance improvement in the ResNet-50 and SSD VGG-16 models, fully demonstrating the inference capability of the new platform. Next Is there still value in stocking printers and ink?